Travel software company Datalex has said its chief financial officer Dónal Rooney is stepping down from the company's board. Mr Rooney will remain with Datalex until April to assist with the transition to a new CFO and to advance a number of "critical ongoing organisational projects". The company said a process to appoint a new CFO has started and an announcement will be made in due course. 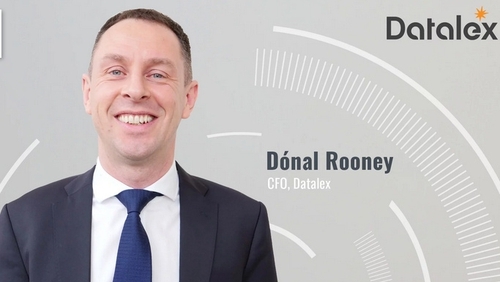 Mr Rooney was appointed as Datalex CFO last December. The company admitted in January that its revenue and profits for the six months to the end of June may have been misstated. Last week Datalex also said it was implementing a cost restructuring programme which will impact outsourced contractors and employees. It did not detail how many jobs would be affected. This followed a company announcement in January which said that Datalex expected to report an adjusted EBITDA loss in the range of $1-4m for 2018. It said this was mainly due to a shortfall in services revenue caused by a failure by the end of the year to recover costs incurred in the delivery of the services revenue component of a significant customer deployment. "I am grateful to Dónal for his support, hard work and dedication through what has been a most challenging period for the Group," said Aidan Brogan, CEO of Datalex. "I would like to wish him every success in his future career."